TESTAMENT‘s fretless guru, STEVE DI GIORGIO will attend NAMM 2019 for two special occasions: Firstly to the annual Hall of Heavy Metal History‘s Metal Hall of Fame Gala, taking place on Wednesday, January 23, 2019 at Marriott Delta Garden Grove in Anaheim, CA, where TESTAMENT, alongside many other great acts, will be inducted to The Hall of Heavy Metal History! 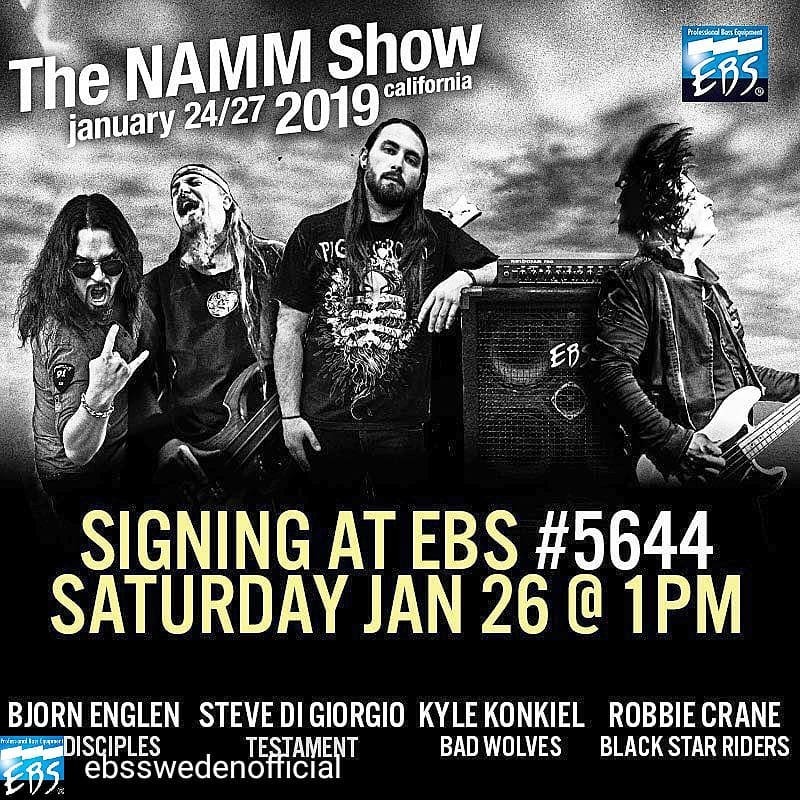 Furthermore STEVE will be present at the great signing session of EBS booth (5644) on Saturday, January 26th at 1pm! Don’t miss the party! More information at www.ebssweden.com!